Privacy is highly desirable for every mail account, be it personal or professional. You never know how information from your mail accounts will be misused. So it is advisable to protect your email accounts and data files. If you are an Outlook user, you can set a password for Outlook PST file to avoid outside interference with your data. Setting a password will surely make you feel secure and safe. 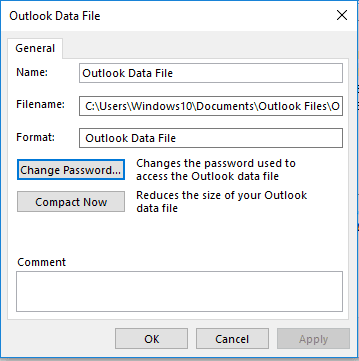 How to create password for PST files in Outlook? 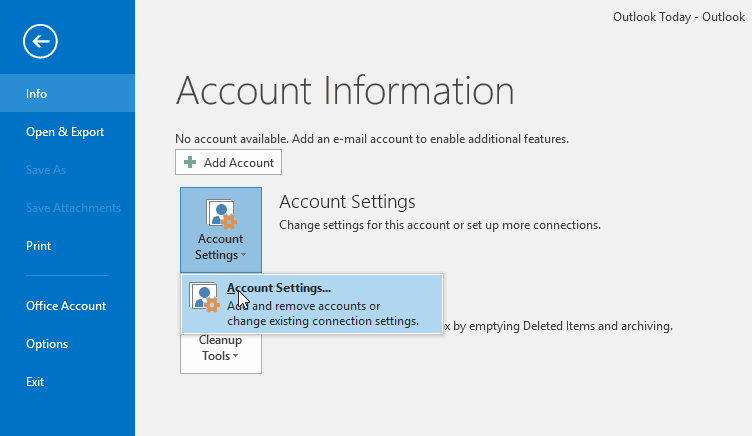 Open Outlook and select Account Settings > Account Settings from the File menu. 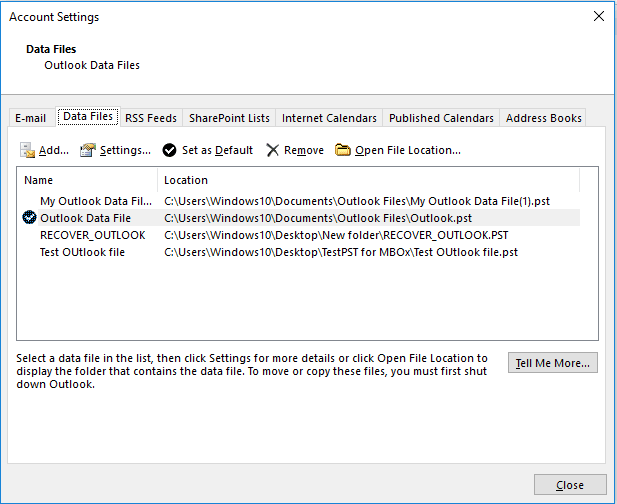 On the Data Files tab, choose the Outlook Data File (.pst) for which you want to create a password, and then choose Settings to open the Personal Folders dialog box. Leave the Old Password field blank and enter a New Password and Verify Password. Make sure not to check Save this password in your password list box. Now click OK and the password for selected PST file is set. Note: If you are changing an existing password, then you need to fill Old as well as New password. Is at least 6 characters long. Symbols or special characters - /, ^, *, &, #, @ etc. 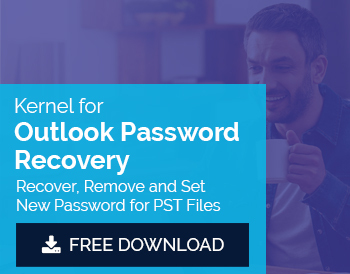 What to do if you forgot the Outlook PST password? After setting a strong password, it is essential to remember it accurately. And that becomes a tougher job if you have many passwords to remember. You cannot afford to lose all your files and data just because of forgetting the password. In the case of Outlook PST files, you need not worry about forgetting passwords. You can always use some free third party tools to recover the lost or forgotten password. 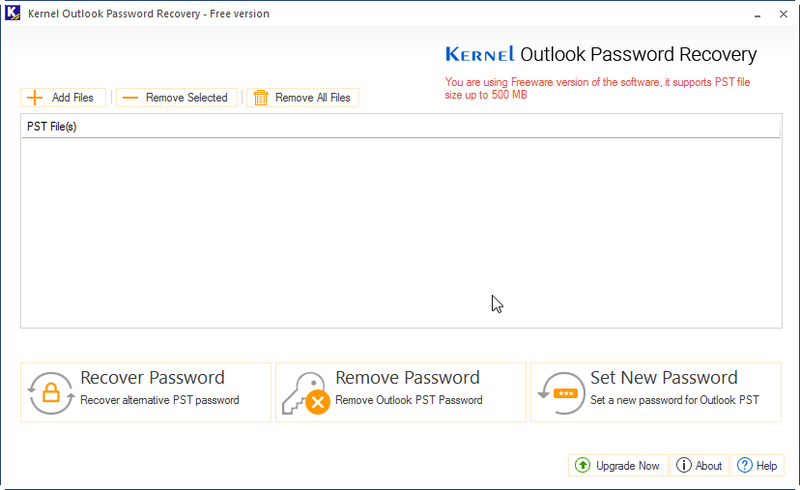 A very efficient and reliable tool that you can try is Kernel PST Password Recovery Software which provides instant solution regardless of complexity and length of the password.